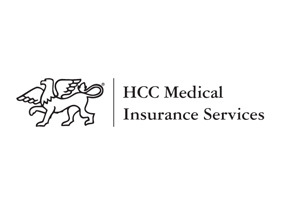 HCC Medical Insurance Services was created in 2008 when HCC Insurance Holding Limited acquired and re-branded Multinational Underwriters in an effort to expand and improve the US based insurer's international coverage options. The corporate maneuvering and re-branding is not evidence of a shaky financially past or poor management, rather it is just another strategic step forward by HCC to offer excellent coverage options and services to its customers. HCC, in fact, has a reputation for being an innovator in the insurance industry and is considered to be the first large scale insurer to offer their plans on-line. In Malaysia HCC has flexible, comprehensive family, group and individual health insurance plans to cover almost any need and with a strong financial rating from A.M. of A+ and an AA ranking by Standard & Poor's there should be little concern for HCC's ability to provide adequate assistance and protection for all of its policyholders. For more information on HCC's medical insurance coverage offered in Malaysia, or to compare coverage options between multiple insurers, speak with one of Malaysia Health Insurance's advisers. Help is available in most major languages by completing the information request at the top of this page, or for more urgent assistance, simply click here to speak to an adviser right away.